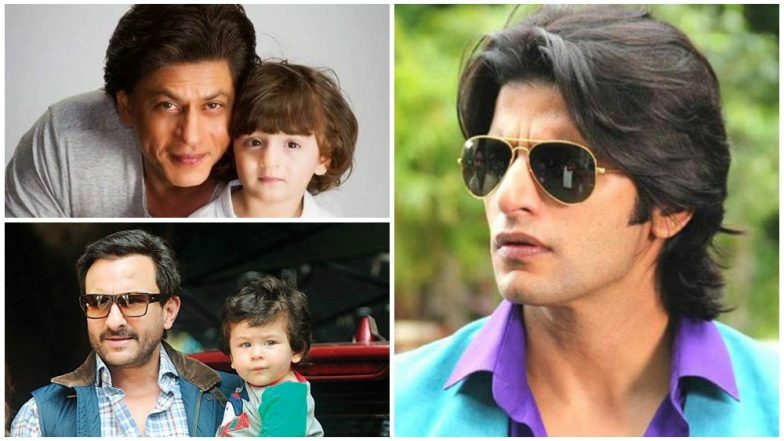 Karanvir Bohra Slams A Publication For Drawing Comparisons Between Taimur and Abram! There is nobody who is not aware of the Taimur Ali Khan wave. In fact, even before he was born, all eyes were on his Mommy Kareena Kapoor Khan. And ever since his first picture that was released by his parents, the kid has become a sensation. Right from his crawling days, to his waving to the media days to even his 'addressing the media' days, basically, Taimur Ali Khan's entire life has been documented by the paparazzi. Taimur Ali Khan Is All Smiles Enjoying Holi By Splashing Water From His Colourful 'Pichkari' From The Balcony- View Pics! And now, actor Karanvir Bohra raised a very important point when it comes to the topic of paps clicking star kids. A publication published a picture of how AbRam Khan hid behind his soft toy when the paps were clicking him. And the caption did not sit well with Karanvir Bohra, who is the father of two adorable twin girls. And the doting father tweeted about the same. And we completely resonate with Karanvir. In fact, paparazzi sensation Taimur's parents Kareena and Saif also feel that their munchkin has had too much attention for his age. As for SRK's son AbRam, the lad has always been very media shy and most of the snaps that the paparazzi have gotten of him, are from the times that daddy SRK got him onto Mannat's podium. As for comparing AbRam's instincts to that of Taimur's behaviour, everybody has a different way of reacting and the media should understand that, rather than compare. Shah Rukh Khan’s Role in Vijay Starrer Thalapathy 63 REVEALED!